NZDUSD has been moving with bullish bias since the previous low at 0.66729. 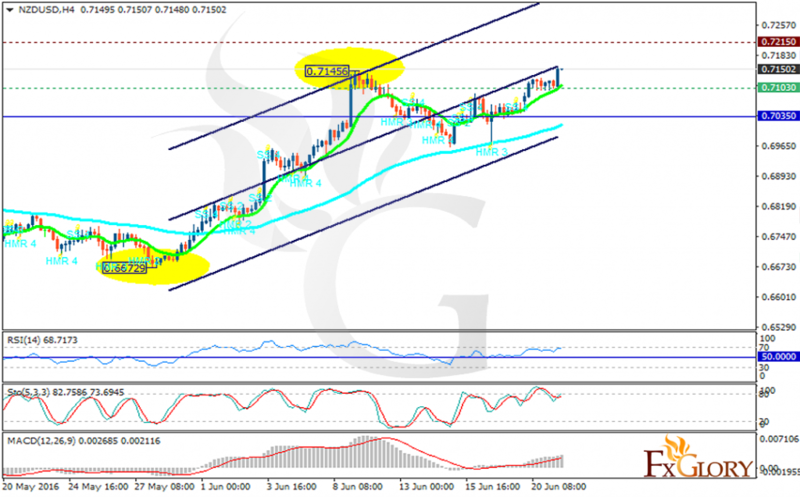 The support rests at 0.71030 with resistance at 0.72150 which both lines are above the weekly pivot point at 0.7035. The EMA of 10 is moving above the EMA of 75 showing the recent price growth. The RSI has already reached the overbought area and there is a great chance of falling towards the neutral area. The MACD indicator is in positive territory but it is not showing any upward strength. The Stochastic is moving in high ranges in 80 level. Pullbacks are expected at any time soon however the price may also rise further a little bit. Short positions are recommended with the target at 0.6950.